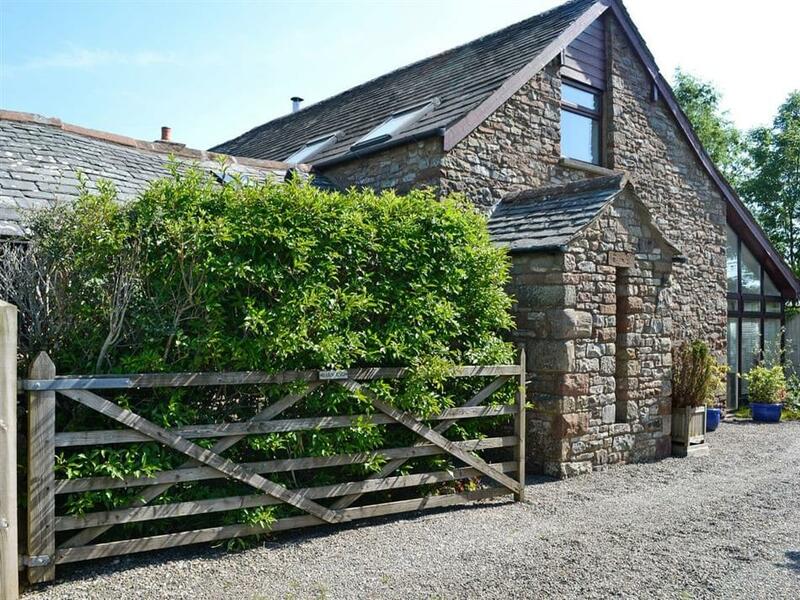 Barn End in Sleagill, near Penrith, Cumbria sleeps 8 people. Barn End near Penrith is a semi-detached cottage quietly set on a country lane close to the small village of Sleagill situated in the unspoilt Eden Valley. 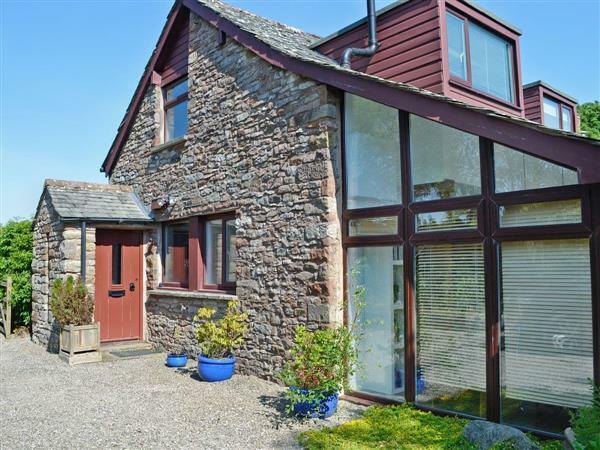 The charming cottage has spacious open plan living space and bedrooms on the first floor. Barn End has a delightful, private garden for guests to enjoy. Barn End’s location is unspoilt and tranquil, and is perfect for exploring the area. The Eden Valley provides superb walking and cycling and is close to the Lake District National Park and the Yorkshire Dales National Park, as well as being only an hour’s drive to Southern Scotland and the Northumberland National Park. The area is probably Cumbria’s best-kept secret, with rolling countryside and picture-postcard villages many offering fabulous food in country pubs. Visit Brougham Castle, Wetheriggs Pottery or the Rheged Discovery Centre which will definitely keep your little ones entertained. Alternatively, enjoy a boat trip along Ullswater. With so much to do right on your doorstep you won’t be disappointed. The shop, pub and restaurant are all 3 miles from Barn End near Penrith. Living room/conservatory: With wood burner and 26 Freeview TV. Kitchen/dining room: With wood burner, electric oven, electric hob, microwave, fridge, freezer and dishwasher. Bedroom 2: With double sofa bed (for children). Oil central heating, electricity, bed linen, towels and Wi-Fi included. Initial logs for wood burners included. Welcome pack. Sitting-out area with garden furniture. Bike store. Private parking for 3 cars. No smoking. Holidays at Barn End run from Friday to Friday. Pets allowed at Barn End. For a better idea of where Barn End is, you can see Barn End on the map below. Barn End is in Cumbria; should you be on the lookout for a special offer, you can find all the special offers in Cumbria. It's always worth checking to see what is on offer at the moment. Do you want to holiday near Barn End (UKC3571), you can see other cottages within 25 miles of Barn End; have a look to find your perfect holiday location.